In the wake of the development of advanced neonatal intensive medical care, more and more children born preterm manage to beat the previously tough odds and survive the perils of infections and respiratory distress that are some of the common problems in the group. While this is one of the success stories of modern medicine, long-term follow-up of premature-born pediatric cohorts show that the obstacles don’t cease with the need of intensive medical care. Many children will experience cognitive problems that will impede their performance when they start school. Some children will perform on the level of their peers. Other children experience difficulties in reading and mathematics that also appear to persist as the children advance through school. A considerable interest has therefore risen to identify children at risk of difficulties early on in life in order to prevent or mitigate future problems. One question that remains to be answered is the biological underpinnings of the cognitive difficulties experienced by preterm children. As many of the preterm children go through radiological evaluation it is clear that the risk persists despite the lack of intracranial bleedings or signs of hypoxic–ischemic brain injury. Clinical medicine thus lacks sufficient tools to adequately predict the late effects of preterm birth. On the other hand, the brain alterations causing difficulties in school must be assumed to be already present when the children have gone through the neonatal period, long before they manifest in school difficulties. This discrepancy between the presence of assumed predictors of future cognitive difficulties and what clinical medicine today can assess calls for a change in the type of data we use and how it is analyzed. Basic neuroscience has, during the past decade, seen an increase in the application of advanced mathematical models to detect patterns in brain structure or activity that may not be visible to the naked human eye. Our group has previously shown that this approach makes it possible to predict cognitive development in children using diffusion MRI. 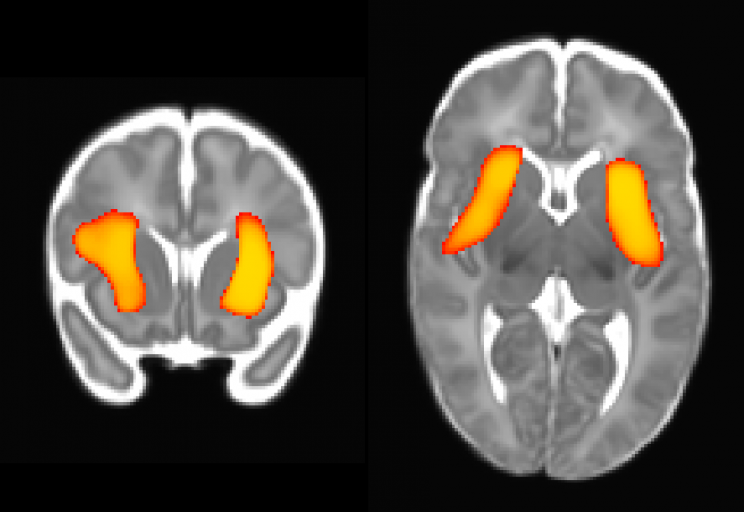 Our recently published study in Brain aimed to bring advanced analyses of MRI data to address the question of hidden predictors in preterm children. In a collaboration between researchers, psychologists, and physicians in Sweden, Australia, and the United States, our study drew from one of the world’s largest longitudinal cohorts of preterm children. We used neonatal diffusion MRI and regular MRI to measure early alterations in white matter development and local brain volume. This data was then processed in machine learning models and exploratory analysis to predict cognitive abilities much later, at five and seven years of age. Brain scans courtesy of Henrik Ullman. Not only could cognitive ability at five and seven years of age be predicted from the neonatal MRI, the effect also persisted after taking into account all clinical factors during the neonatal period that we previously know affect the prognosis of preterm children. While local brain volumes indicate some specificity for deep brain nuclei and insular cortex, the white matter analysis show that the best prediction is possible when looking for subtle patterns distributed over the brain. As subtle and distributed patterns of change in the brain are hard to see and grade by eye, these patterns may not have been described previously. Radiologists read MRI typically looking for the more well-known brain alterations associated with preterm birth. The results illustrate how neonatal MRI of preterm children can be of practical benefit as it opens up a time window for interventions before the children start school. Clinical MRI scanners obtained the MRI data used in the study, and most larger hospitals are also equipped for this, promising a large availability to children. One of the criticisms of neuroimaging research is that, despite increasingly advanced methodology, few clinical applications have ensued. This study is a good example of what is possible in the interface between researchers and clinicians. However, in order for predictive models such as these to reach the clinic, there has to be a substantial standardization in how data is gathered and processed, something that can only come about by continuous interest and efforts from all involved parties. Even though MRI is a non-invasive and harmless method, there is a risk that an early transition to the clinic before the method is sufficiently tested may inhibit its acceptance and future use. We hope that the study will raise enthusiasm for the clinical use of advanced neuroimaging for the benefit of preterm children in particular and for applications of advanced MRI models in radiology and neurology in general. Featured image: Premature baby and hand of the doctor. (c) Pixelistanbul via iStock. Henrik Ullman is a medical doctor and a PhD candidate in Neuroscience at Karolinska Institutet, Stockholm, working together with Torkel Klingberg. His research work focuses on tracking and predicting brain development in healthy children and clinical populations using advanced neuroimaging and machine learning. 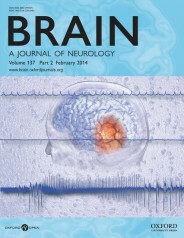 The study "Neonatal MRI is associated with future cognition and academic achievement in preterm children" is published in Brain and available to read for free for a limited time.